Several Jackass cast members are individually tied to a separate poles & blindfolded or hoods are placed over them as if they are about to face "execution" by a firing squad. All are asked to give their 'any last words'. 10-12 individuals arrive with 2 liter bottles of Diet Coke & Menthos candies pieces. All take up positions about 10 to 15 feet from the 'condemned'. 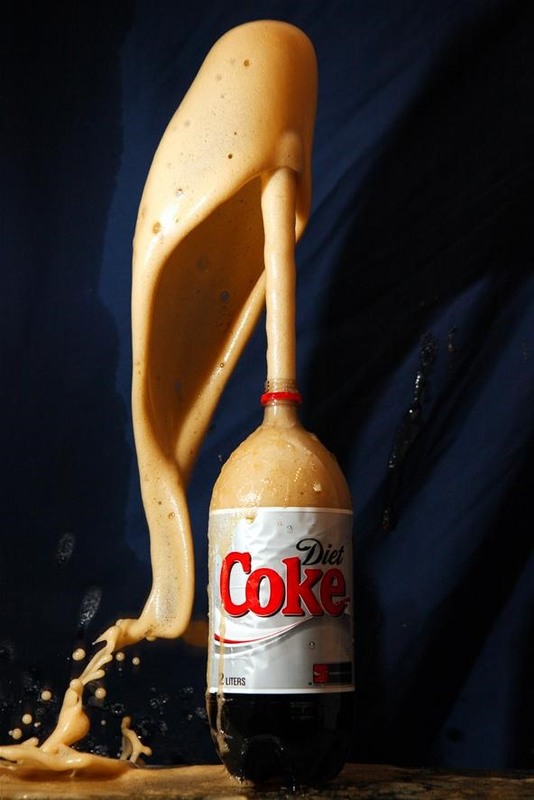 Each 'shooter' places their Mentos into the Diet Coke bottles. The bottles can be fired as rockets by unscrewing the lid until a thin stream shoots and slamming horizontally into the ground, creating enough pressure on impact to blast the lid off and launch the bottle in the opposite direction. These work best when the bottle is shaken for about 20 seconds vigorously after quickly putting in the Mentos. It takes a few practices to work out how much to twist the lid off (usually approximately one full turn) but can travel large distances with this technique, often up to 20 ft high and between 40–70 ft horizontally. A total of 100 bottles or more are to be used by the execution squad. Bring on the pain! !